You can dress up a package of frozen hashbrowns, onions, a can of cream of celery soup and more and turn it into a feast. Virginia McDowell. Jefferson City, MO. 1985. 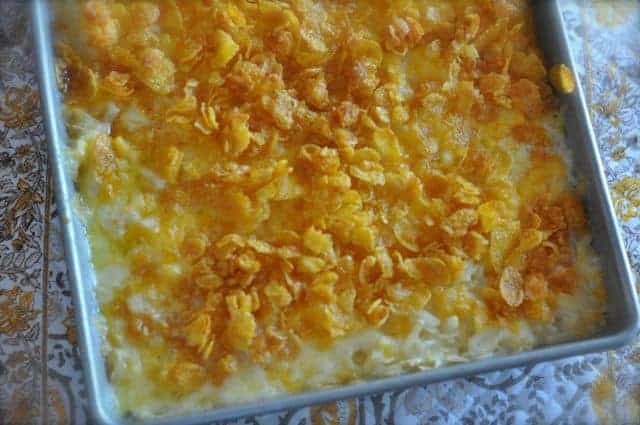 This hash brown casserole is also known as funeral potatoes. This dish never comes back to the table full. Place potatoes in a greased 9X13" dish. Season with salt and pepper. Mix together sour cream and soup. 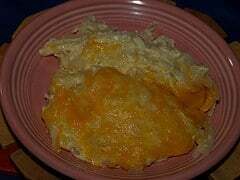 Pour over potatoes; sprinkle with Cheddar cheese, top with corn flakes. Bake at 350 for 45 minutes. These are oh so delicious.